Kenneth Rogers, Rain City Catering’s Owner & General Manager, is definitely the business mind behind the catering. The youngest of three children to a single hard-working mother, Kenneth learned to creatively cook and bake independently on his own. Kenneth has always been a natural at cooking, and holds a special knack at uniquely seasoning his dishes to perfection. As a child, Kenneth knew he wanted to be a caterer. His life in the food service industry started early, at the age of 15. 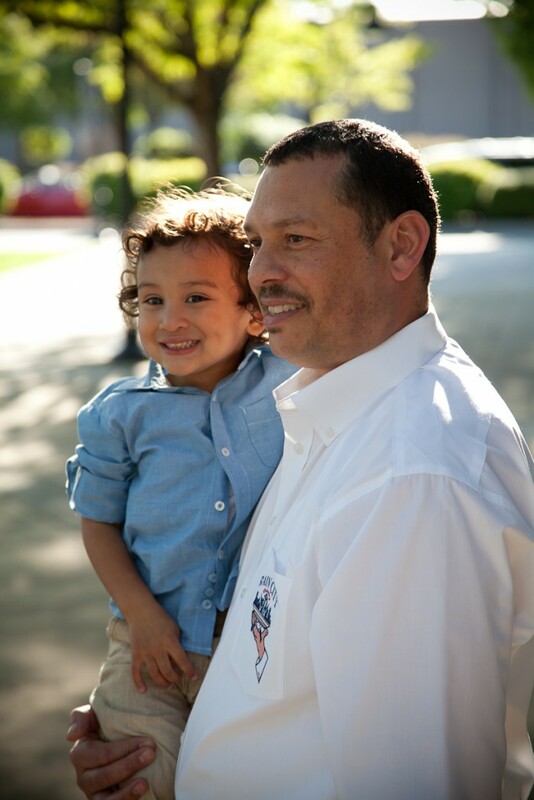 Kenneth worked at various restaurant chains, where he not only gained experience as a fry/grill cook and baker, but eagerly learned the everyday business aspects of the food service industry. From 1995 to 1997, Kenneth, together with a few partners, opened and operated a local restaurant/catering company in Seattle called Savoy, which specialized in Southern cuisine, aka Soul food. 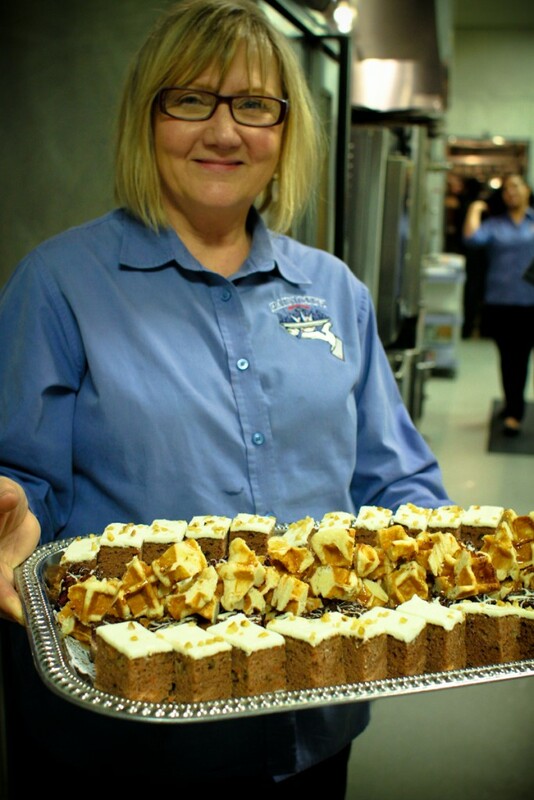 It was during this time that Kenneth obtained the necessary and valuable knowledge to own, operate, and manage a world-class catering company. 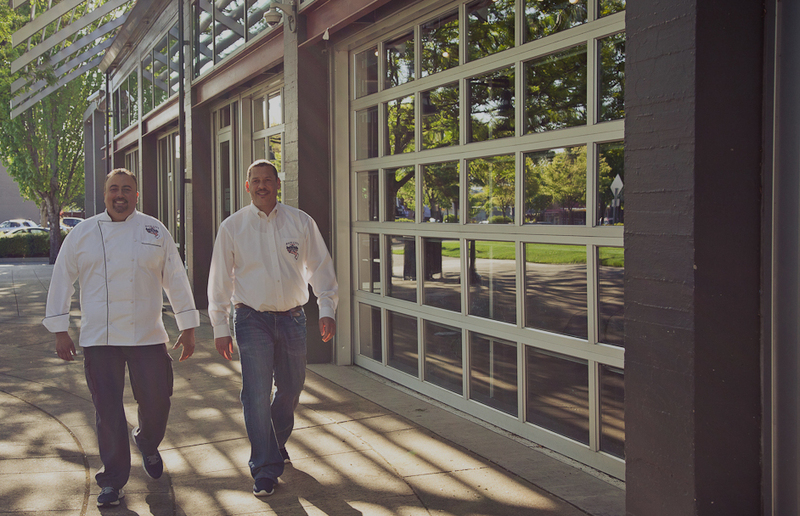 Knowing what it takes to financially start a business, Kenneth worked for The Boeing Company from 1997 through 1999, and together with Jeremy, invested his hard earned savings into the incorporation of New Century Catering, now known as Rain City Catering. Jeremy Bryant, Rain City Catering’s Owner & Executive Chef, offers close to 25 years of experience in the food service industry. At the age of 15, Jeremy started from the bottom of the industry, and worked as a dishwasher at a local restaurant in Seattle. He was eventually offered a dishwasher position at Daniel’s Broiler, and within three months worked his way up to Salad Chef. 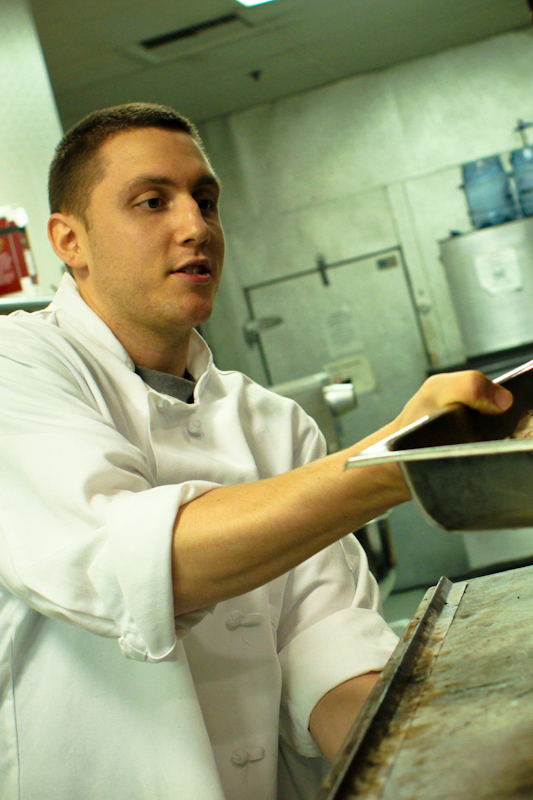 Through his hard work ethic and zest for learning, Jeremy was promoted to Broiler/Sauté Chef. In fact, at the age of 17, Jeremy was the youngest Lead Sauté Chef within the organization at that time. Working at Daniel’s Broiler for 5 years solidified Jeremy’s aspirations, and he left in pursuit of more formal training and subsequently enrolled in the Culinary Arts Program at South Seattle Community College. In 1993, Jeremy successfully graduated from the culinary program, and was immediately recruited as the Lead Chef for Lowell-Hunt Catering, where he worked for 6 years. Jeremy has had the honor of catering for numerous high profile and famous people such as Bill and Melinda Gates, Hillary Clinton, Tom Hanks, and Meg Ryan – just to name a few. 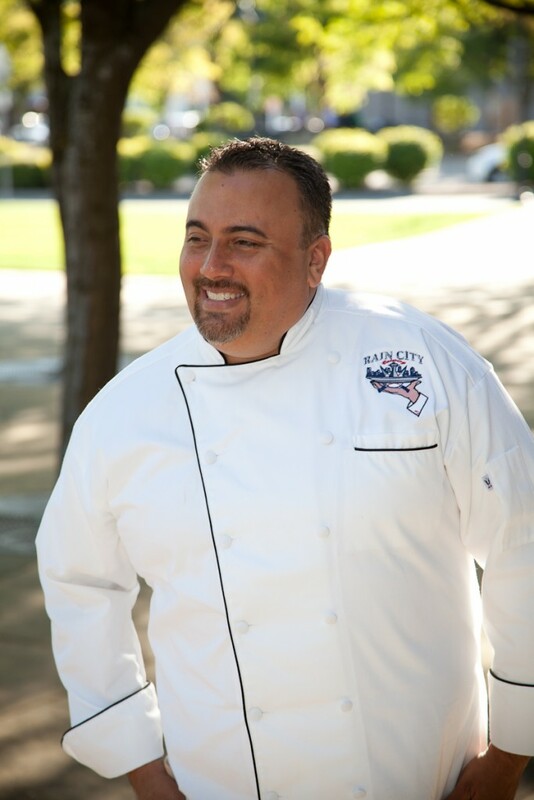 In 1999, Jeremy was given the privilege of being hired as the Executive Chef for the Seattle Mariners, which position he still proudly holds today. That same year, Jeremy and his childhood friend, Kenneth, joined forces and made their dream into a reality by opening their own catering company, which we know today as Rain City Catering. One cold “Rain City” day in Seattle, 14 year-old Kenneth Rogers and 10 year-old Jeremy Bryant (childhood friends since 1974), carefully followed the recipe for banana bread on the back of a Bisquick box, and proudly served it to their families. That milestone marked the beginning of many childhood discussions of future goals and dreams to one day own and operate a successful catering company in the Pacific Northwest. 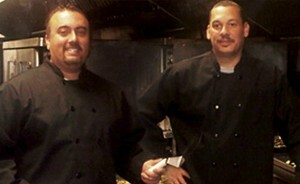 In 1999, Jeremy and Kenneth achieved their lifetime goal and opened New Century Catering. In addition to operating their world-class catering company, Kenneth and Jeremy briefly ventured into the restaurant industry and owned and operated 43rd Street Café, before ultimately deciding to focus 100% of their time and energy on catering. Being proud Seattle natives, Jeremy and Kenneth subsequently decided to change the company name in 2010, in honor of their birth city – famous for its rain; hence, Rain City Catering was born!